Leasing is becoming an ever more popular way of driving a new car in the UK, but it is still something that many motorists in Britain have little or no knowledge about. Essentially it is a more financially viable option for most people who want to drive a brand new car. A contract hire BMW 6 Series Coupe for example may cost you around £600 a month to drive, whereas if you wanted to buy a new one you’d be looking at a minimum of £60,000 – it is not difficult to see how the model is made more affordable with monthly payments. Leasing is a little bit like renting a vehicle, which is why many people who don’t know a lot about how it works are reluctant to do so. 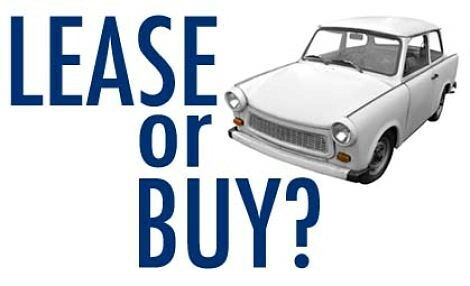 People see it as dead money, because at the end of a lease period which is usually around 36 months or so you will have to give the car back to the company, unless you choose to buy it off them at their asking price. Taking this into consideration for a BMW 6 Series you’d be paying well over £20,000 over the course of 3 years, which is a lot of money if you’re getting nothing back at the end of it. However, the £20,000 that you have paid is actually the depreciation that the car has suffered in its first three years of life (the time at which vehicles depreciate quickest). You would be losing a similar amount of money had you bought the car outright for £60,000 and then sold it for say £40,000 three years later. You can effectively think of a lease as buying a car and then selling it in three years’ time (or whatever the period of the lease may be). This is a subject I can actually speak about with first-hand experience, as I admit it wasn’t until a few years ago that I educated myself about contract hire cars. I was looking at new estate cars and the one I wanted was the C5, but there was not a chance I’d have been able to afford it. Consequently I began looking at Citroen C5 Tourer leasing deals and quickly found that I could be paying less than £300 a month for one with a small upfront payment. This was well within my price range and I went ahead within a week or so. Of course leasing is not for everyone and while it usually sounds incredibly appealing there are a few questions you need to ask yourself before committing. Can you really afford the monthly payments? How will these payments affect your disposable income and how you live your daily life? Is it wise to upgrade from something inexpensive such as a used Chrysler Ypsilon to a brand new executive car? How reliable are you with your money? Are you someone who spends everything they have in the first week after a monthly pay day? There won’t be much point in having a contract hire BMW X3 sitting on your drive if you can barely afford to put any fuel in it!